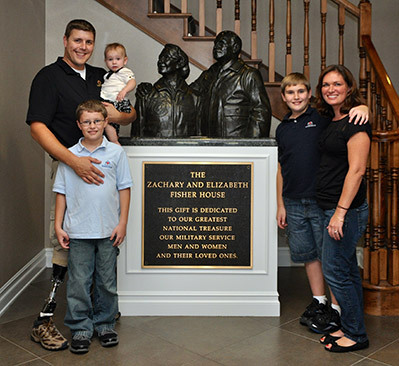 Each Fisher House is dedicated to our military families. The Fisher-Nightingale Houses are dedicated to providing an opportunity for military families to stay together and support each other when a loved one is undergoing medical treatment. The Fisher Houses provide physical and emotional support to our servicemen and servicewomen. View our briefing presentation here for a full picture of our efforts.